Boys Varsity Lacrosse player Jo-Jo Biddle named to West Boys Under Armour All-America Lacrosse Team. He is one of just 24 boys high school athletes from the Western United States to receive the honor. 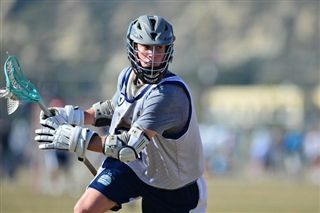 Jo-Jo, who has verbally committed to continue his lacrosse career at the University of Pennsylvania upon graduation, will play in The Underclass Tournament at the Under Armour All-America Lacrosse Classic event weekend, beginning July 3rd at Towson University in Baltimore, Maryland.